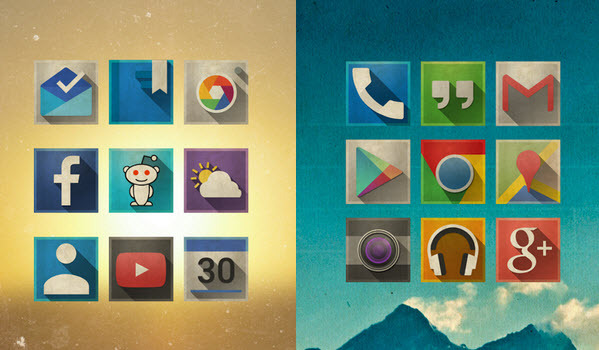 9 Amazingly beautiful ICON packs for your Android Smartphone Launcher! Fed-up with your default stock Android Icons? 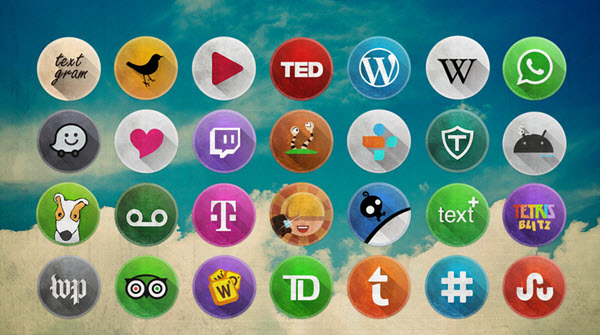 Try these Amazingly beautiful New Age Icons that will surely reinvigorate your Android Experience. These Icons are compatible with all major Custom Android Launchers like Nova, Apex, ADW, Smart, Unicon, Action Launcher, Aviate, Go Launcher, etc. If you are not using any Custom launchers, please install it first and then install ICON pack. If you are looking for advice on the best launcher from our side, you can try ‘Nova Launcher Prime‘ which is a paid version but also has free version ‘Nova Launcher free‘. Install any of the Launcher and then Install the Icon pack from below. 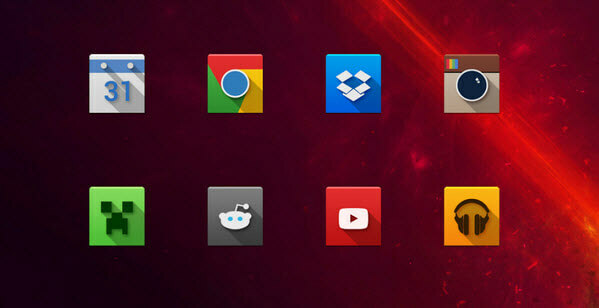 [ * ] To enable your ‘Icon pack’, Goto your Launcher settings >> Look and feel >> Icon Theme >> Select Icons. Moonshine features over 600+ vector designed icons with beautiful wallpapers. It is inspired by rumors based on Android 4.5 project Hera and has Material Design Dashboard App. Axis icon pack features hand-crafted icons to have a retro feel and is made with with a subtle vintage texture, crisp long shadow, and an exquisite color palette. 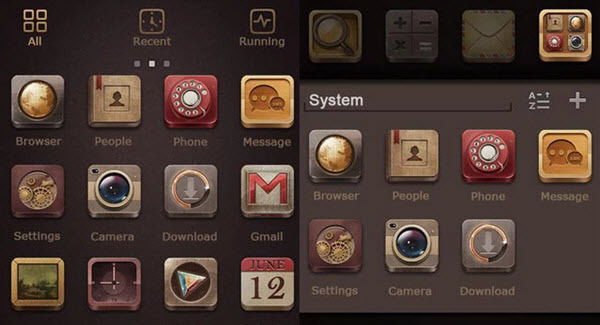 It also included retro style wallpapers that compliment the icons perfectly. Loved your Nokia smartphone’s belle UI? checkout these BELLE UI Icons which are made manually based on Vector graphic. Every icon is drawn carefully to give a unique look. These icons are designed to be bright, colorful and crisp. Let the long shade give your Android homescreen creations a brand new perspective. If you are looking for icons that will pop off your screen, these are what you’ve been waiting for. Stark icons are perfect for minimalists look with a flat treatment. 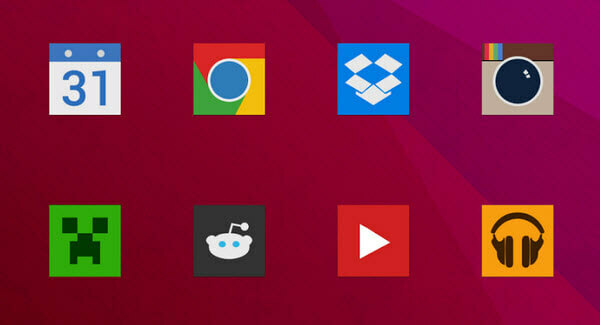 When added to your Android homescreen, these icons will add a colorful & clean look. Adam icon pack is FREE, clean and safe icon pack and you can redesign all of your app icons in one click! Retro Icon Pack features 1100+ HIGH QUALITY ICONS and HD WALLPAPERS. 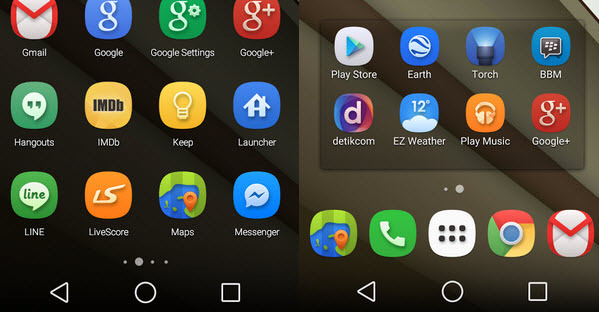 Almost all launchers are supported and has new ICON Request feature. Glasklart contains 1235+ icons & counting. Its Clean, simple and transparent. Make sure you try them once. Wanna feel gold inside your Android Smartphone? 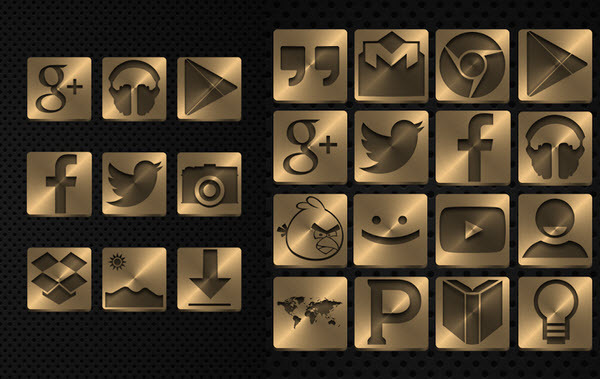 try these gold plated Icons with stunning looks. If features over 1,000+ HD Icons made for gold lovers. Loved these Icons? Make sure you share them with your friends and family. PEACE!